The camel coat is a wardrobe staple that you basically can't live without this winter. Not only does it look super chic, but it goes with just about anything. In fact, I think I might even like it better than your classic black coat. 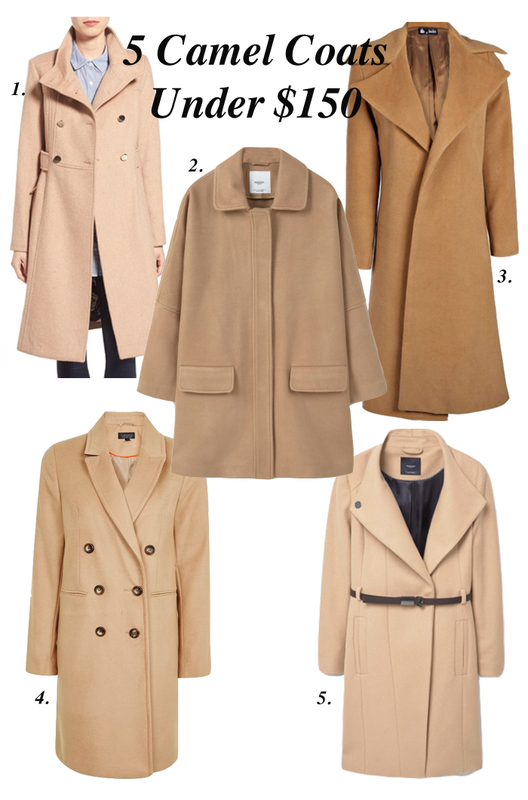 I'm heading to Paris in a few weeks and I've been on the hunt for the perfect camel coat. I finally ended up buying the first one and it was a steal for just $149 bucks. If you still haven't added a camel coat to your wardrobe, now it the perfect time to do so since most outerwear is on major sale. Here are 5 camel coats that are a steal for just under $150!